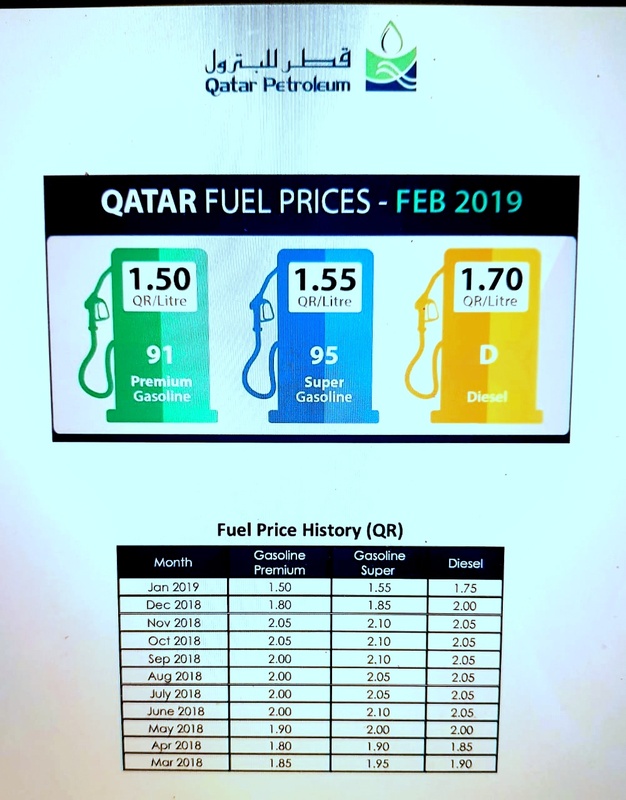 After many months of price rise, Qatar had decided to massively slash fuel prices in the country in January. The welcome new year surprise is continuing into February as well. Qatar Petroleum officially announced prices of fuel in its website. In addition to maintaining the prices of Super and Premium Petrol at January’s rates, the cost of diesel has also been marginally slashed. Thus, a litre of Premium Petrol will cost QR1.50. The price of a litre of Super gasoline will be QR1.55. The price of diesel has come down to QR1.70 a litre, a reduction of five dirhams. This is the third straight month fuel prices have shown a downward spiral, spelling good fortune for the country’s residents.